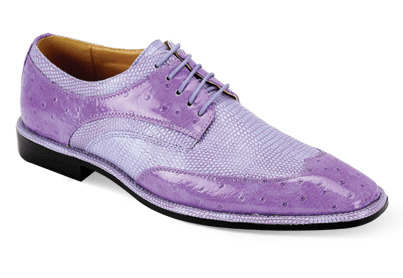 Watch how the party people drop their drinks in the party when you casually stroll into the room wearing these light purple and lavender color wingtip dress shoes by Expression. Featuring an Italian style wingtip design with a sleek toe, these wingtip shoes have that drink dropping ability to make your lavender suit really go kaboom. Medium width.